The SFS Concert Committee has a core of around a dozen committed volunteers and concert producers. Valerie Cohen and Dennis Galvin are the current chairpersons, Sandy Macdonald is our Treasurer. We meet most months to plan new concerts. Come and join us and you can help produce concerts for your favorite folk artists. In many cases, the concert won’t happen unless you do it. We’re a friendly bunch and we’ve worked out a pretty good system for producing and publicizing concerts. Any member of the SFS is welcome to join in. Here’s how it works. If you’re a newcomer, you can learn best by assisting another producer first — that way you can learn the ropes. We welcome volunteers. We’ll help you learn and have fun producing concerts. Here’s an idea of what’s involved in producing a concert. The list looks daunting, but don’t worry – we’ll help you learn all this. It’s not that hard and you may surprise yourself and have fun doing it. We produce concerts by touring artists from around the world, and local artists, too. If you’d like us to consider your act for our concert series, here are instructions for performers. We produce over 30 concerts a year, mostly in the Phinney Center (capacity 150), but occasionally small venues like coffee houses, or in larger spaces. The concert committee has its own 24 hour voicemail line for questions and information: (206) 923-8923. To receive e-mail notification of upcoming concerts, join our Internet mailing list. The concert committee can be reached by email at concerts@seafolklore.org. 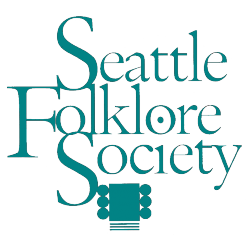 The SFS concert committee produces many folk music concerts each year. You are invited to come to a concert committee meeting the first Monday of the month at 7pm in Seattle. Email us or leave a message on the concert line at (206) 923-8923 for the location of the next meeting. We would love to have drop-in guests, even if you are just interested in seeing what it takes to produce a concert. The meetings last a couple of hours. We’d really like to see you there! Here are some useful links for concert producers. Some of these links are ours and some are to other pages on the net.